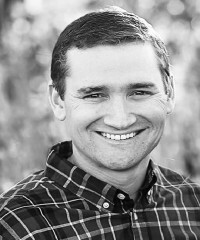 Hunter Haglund | Friesen-Strain Insurance Associates, Inc.
Hunter Haglund graduated from Lufkin High School in 2001. In 2006, he completed his education at The University of Texas at Austin with a BS in Sport Management. Prior to joining Friesen-Strain, Hunter spent four years as a producer for an independent insurance agency in Lufkin, TX selling Life & Health as well as Property & Casualty. Hunter earned the CIC designation (Certified Insurance Counselor) in 2014. He is also “ACA Certified” by the National Health Underwriters Association and a member of the local Health Underwriters Association of East Texas. Hunter and his wife Leeanne, have two sons: Preston and William.